I am Scared and Confused. 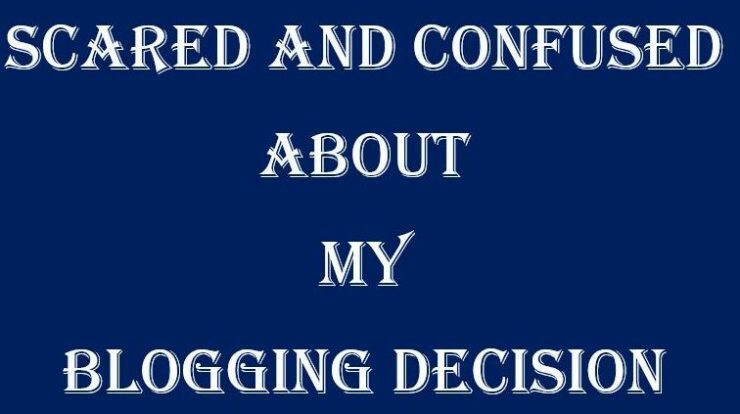 Yes, this is for the first in my full time blogging Journey, I am confused and Scared. What will be the Hidden Secrets for Increasing the AdSense Earning? How will I manage Multiple Website and Blog? How to Increase number of Subscriber and Followers on my Site? Why No One Comments on Your Blog and What to Do about It? In the last months, I was busy with my Holidays and Social Events. So I do not get enough time for writing my blog post. So, these could be the reason for not getting the desired result in the last month. It also reminds me the time when I had started my first website. Even at that time I had not received any money for the first year. But still I continued with my website and today I am not regretting for that decision. So, going with the same decision I had decided to continue with my websites and new blog. I know the above post is bit confusing and I am not able express my feeling through it. But I already told you I am confused and Scared. The above post is a result of my thought process going in my mind. If any one can help me out, then please do reply to this post.